And the people will cheer you as you murder them. That is what was done in Nazi Germany. The government and other organizations (ie Universities, schools, etc…) demonized, stigmatized and eventually denied Jews a right to study, work, etc… did way before they wrote the Nuremberg Laws. I could go on with thousands of articles like these. Heck thousands just from the Muslim world. Now today from the US Government to Harvard, Jews are being vilified and demonized. In fact, anti-Semitism is rising all over the world. It is now ingrained in Sweden, Norway, Belgium, France, Spain, Italy, Great Britain, Poland, and Germany. There is no where in Europe a Jew is safe. 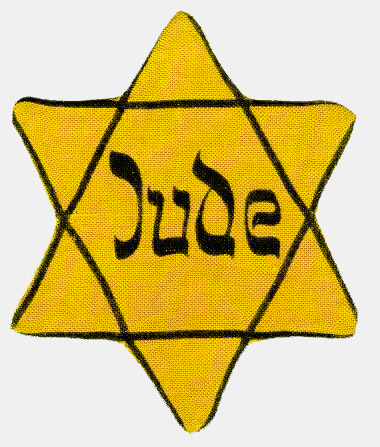 All the anti-Semites are waiting for is for Israel to be destroyed and the United States to throw their Jewish population either out of the country or into Concentration Camps. Then watch the blood letting. The world is forgetting their history. First you demonize, then you destroy. Will anyone remember that once a people called Jews existed? That they gave the world a conscience, the weekend, a quest for literacy? Or will the world rejoice in celebration of their demise? The problem here is the advance of islamism. As more countries become radical islamist, the anti Israel fervor increases. Sweden is becoming islamist, as are Denmark, France and a number of European countries. Is it any wonder they are against Jews? Anti-Semitism is written into the Koran. Also, the UN is dominated by islamist nations. The sheer number of them was always huge. Now, with the success of Obama’s islamist “spring” (more like nuclear winter) there is more anti WESTERN sentiment. Israel is disliked for reasons of the Koran, and also because the beauty, freedom and intellectual triumphs that are so easy to see in Israel cause shame to neighboring nations that don’t bother to build hospitals and universities because they want to educate the next generation of suicide bombers in their madrassas. Islam hates Westernism. They hate US. Israel is the “little satan” and the US is the “great satan”, according to the savage islamist freaks. They would have us all in burkas if they could. Be glad and rejoice in celebration of Obummer’s demise. That is all I’m waiting for, sooner the better. His Islamic Muslim Brotherhoodies is why this is even happening, what a prick. All BHO wants is an Islamic America and a 4 million family Hawaii vacation, that he can stick where the sun don’t shine, paid for by the good ole USA taxpayers no less. Great post findalis. And pertinent. And yet, most American Jews, by a large majority, continue to vote for people who hate Israel and Jews. Which seems to indicate that the communistic impulses we sometimes hear about of the Jews, might actually be true. Which means they would rather be dead. Silly Jews, communism is for corpses, not life. And it is totally anti-kosher. Jews, you need to wake up. I found the link below on “Crimes of the Times” blog. It shows an interview between William F. Buckley and Woody Allen with audience questions to both. What surprised me was how civil and cordial they were to each other and how much in agreement they seemed to be regarding Israel. It was 1967 so the six day war must have just concluded? Well, it seemed remarkable to me given the present political landscape and the condition of civil discourse. Hope you enjoy. If the link doesn’t work it’s because I’m not tech savvy. Go to the blog instead, it’s the December 3, entry. Dang, and now I have to try and remember what two + what equals nine? As much of what I commented on at the TSA article, this also is an offshoot of what happens when people who stands by a religion that is intolerant with a doctrine of hate and violence, who demands at the same time tolerance on their behalf – and then allows that cancer to subvert and infiltrate the infrastructure of our civic establishment; meanwhile indoctrinating our children in the government-controlled education system the ‘Flower Power’ mentality of dealing with the bullies of totalitarian policies, a practice put into action by the likes of Hitler, Stalin, and Mao. While Obama did not create this movement towards progressive socialism, beginning with Woodrow Wilson, he and his company have accelerated the fall of the only constitutional republic in the history of civilization. As in ancient times, the Jew, Hebrew people, are the proverbial “scapegoat” of tyrants. What amazed me, in terms of this 20th and 21st century history, is that some so-called Christians joined the antisemitism that permeated like a cancerous growth, all the while ignoring the fact that the person they have established as the founder of their religion was himself a Jew, maternally a descendant of King David, who preached to the Jews and sent his disciples turned apostles out into the known world to spread the word to Jews and Gentiles alike. How completely insane that people, organizations, Islam, and governments would persecute a people whose tolerance has been well documented; all the while making excuses for, and incorrectly identifying a particular religion as the “religion of peace”. Recently a columnist at Townhall proclaimed that the world has turned upside down. It is nothing new in history, and as you wrote, Maggie, in so many words, we are doomed to relive historical mistakes if we do not learn from them. The Nazi party came into power because the German people were destitute, being punished by Allied powers for their WW1 transgressions; and the policy of allowing a schoolyard bully to take their lunch money. Immediately after Victory Europe, we begin the path of another mistake – allowing Stalin to carve up Europe as he had originally planned with Hitler just because the Soviet Union decided to join UK, Australia, and US after Hitler reneged upon his treaty. FDR administration received accurate reports of anti-semitism in Nazi controlled Germany, but did nothing. 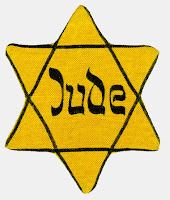 Indeed, when a boatload of refugee Jews asked for asylum off the coast of Florida they were turned away, forcing the German ship captain no choice but to turn back; sealing the fate of the Jews because when they went back to Germany they were all sent to the camps. And mentioning camps, it was FDR who gathered up Japanese American citizens only allowed to take what they could carry, and forced them to be placed in “internment camps” – a clear violation of their rights as citizens, presuming they were spies just because they were Japanese immigrants and descendants from Japan who had committed an act of war against US. This is the same political club, the Democrat Party, who demands tolerance of closet Islamic Jihad individuals, protects those that break our immigration laws, and views protecting our borders and national security as “racism” and prejudice against immigrants wishing to live in this country. And, as far as racism, of which the likes of the Tea Party movement has been wrongly accused – the Democrat(ic) Party wrote the rule book on that. Abe Lincoln, a Republican, campaigned for president against a pro-slavery candidate and the KKK was established by members of the Democrat Party. Union thugs are also part of that political entity. Americans have to educated (re-educate) themselves because what has and is written in textbooks has too much propaganda and deleted true historical information.Problem is, will the GOP clean up its own act and dissolve the elite establishment that does not follow true Republican political platform and backs wimps like Romney and RINOs like McCain? Clearly reformation is called for across the board, the hardest part will be fighting corruption that has so deeply embedded itself thanks to the “democrat” party and apathetic citizens who thinks politics is boring, meanwhile, those they elected to operate our government is working at dissolving rights and liberties and the framework of constitutional laws that the Founders so wisely and diligently gave to future generations to protect and obey.